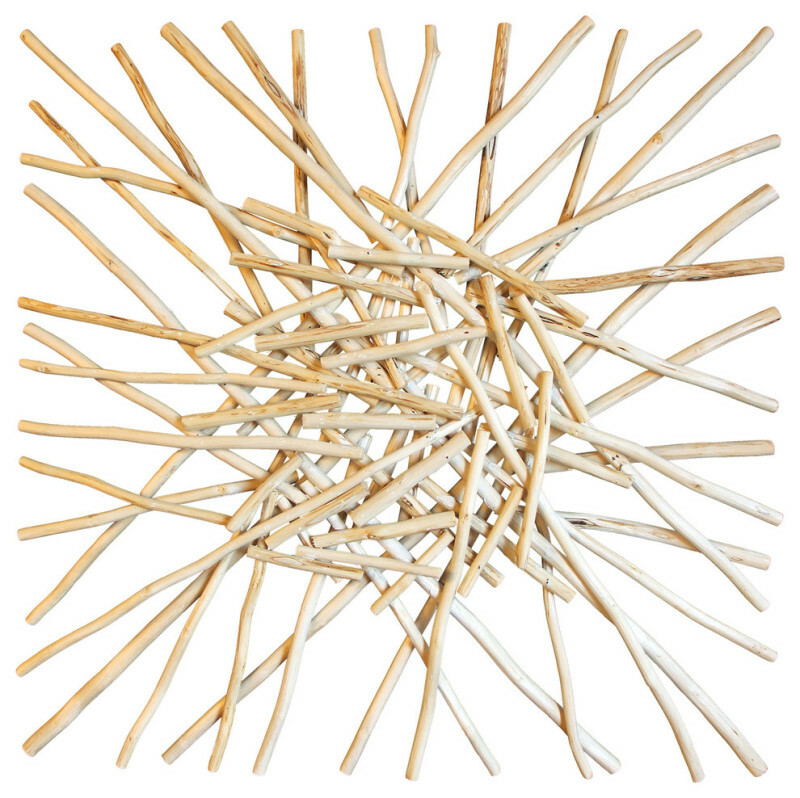 The Natural Wood Stick Cluster Wall Art has a contemporary edge with an organic feel. It measures 30" x 30". or the smaller size at 24" x 24". At 3 lbs, it's easy to hang and will enhance any neglected wall space. W 30" / D 3" / H 30" / 4 lb.